Perfect to safely tuck away everything you won’t need for the next 6 months! Keep all your out-of-season items, safely stored, in this storage area. Add cedar balls or bags to protect your beautiful pieces. Make use of your attic in the most organized way. The Elfa free-standing units are great to add storage as needed and they come in every height and width. Invest in these hangers to protect your best items. Also available for blouses and dresses. Ideal to store all out of season clothing items. From dresses to coats, clear the space with this extra “closet”. Ideal for bulky items like sweaters, quilts or blankets. Perfect for drying your delicate sweaters before storing them. To simplify the folding and get all your pieces folded faster. Keep all your clothes perfectly protected with these cedar liners at the bottom of each box boot insert to make it perfect! Help protect your clothing against potentially dangerous mold and fungus with Mold-Away. Save your winter dresses here and fully protect them until the next season. Great storage for comforters, blankets, sweaters, all perfectly protected. Perfect for your coats and winter suits. Keep them handy and keep them dry! From sandy sandals to snow-covered boots, they handle it all. Always find the purse you want by organizing them behind the door. Don’t Have a Mudroom? No Problem! This stand-alone unit will create a mudroom in your garage in no time. Keep all you need to take off and land from daily activities with this easy Elfa solution. Only Have a Small Hallway? This simple Elfa board is the perfect solution for a small entryway or even a coat closet. These are my favorite pull out drawers! They have great quality and come with a divider, helping you group like items together. They also have a flat surface, easy to clean and that won’t allow items to fall through. Maximize all the space in your pantry by using this narrow pullout drawer. Turn narrow, deep shelves into easy to use drawers. Avoid hard to reach and tumbling baking sheets on your cabinets. With this organizer, you can neatly file your baking pans. A must have in cabinets! Increase your vertical storage and make better use of the space under the sink with this versatile gadget. Stock all your cans in this handy organizing tool and have all stored in one place. I love these handled baskets for high shelves! I have them in almost every pantry I organized. I love this system! 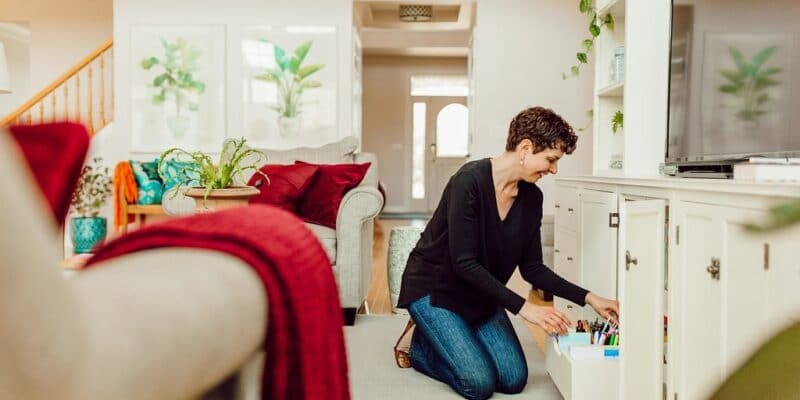 It creates storage in unused areas and with baskets in several widths and depths you’ll be able to store from cans and bottles to canisters here. When you don’t have a pantry, you can create your own with these fantastic, durable and super flexible drawers and top. You’ll not only create storage space, but you will also add counter space to your kitchen. Great to be tucked in a reach-in-pantry, too. In several widths and depths, these drawers are a great addition. Make sure to measure your cabinet to buy the size that maximizes your space. These beauties come in several stacking sizes and in Blue, Green, and Red. 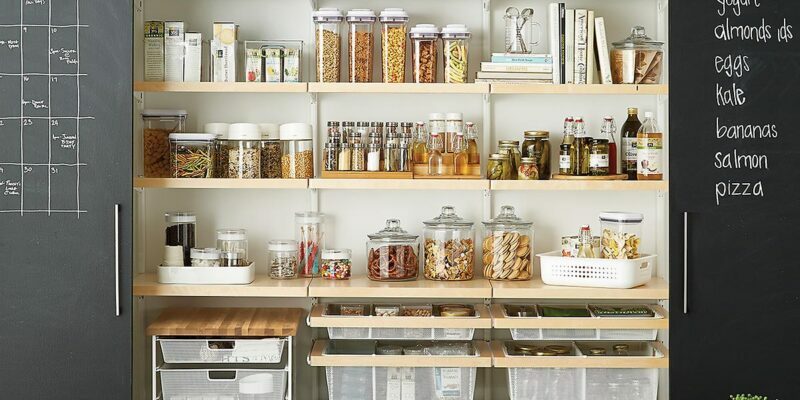 See-through containers make you a better manager of your pantry! From the pantry to the table this box is a favorite of mine (and neighbors!). In clear material, you can always see how low you are on your favorite tea. Keep this handy organizing tool under the sink and store your grocery/plastic bags here. Create a recycling station in your garage or kitchen with these super sturdy bins. Green, White or Gray. Small and Large sizes available. Shop bulk? Here is the extra storage you needed. Bike, tools, cords and more. This stand-alone unit will create a mudroom in your garage in no time. Ideal for renters. Organize Your tools, paints and every little thing. 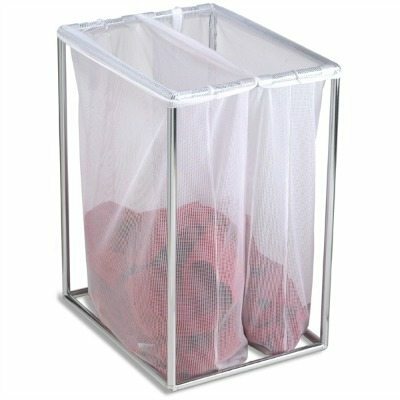 This simple mesh bag will keep all the balls in place and easily reachable. Organize the small items in the drawers by family. These stackable containers are great to make use of the height in your drawers. From the kitchen to your bath this organizing tool can hold your most used items for you. Makes folding t-shirts neatly a breeze. This one is the Jr. size but also offered in adult size. Offered in several colors, these organizers can hold every little item that would otherwise be scattered around the room. From socks and underwear to brushes and makeup, all stay in one spot. Makes sorting the laundry by color, type or person super easy. 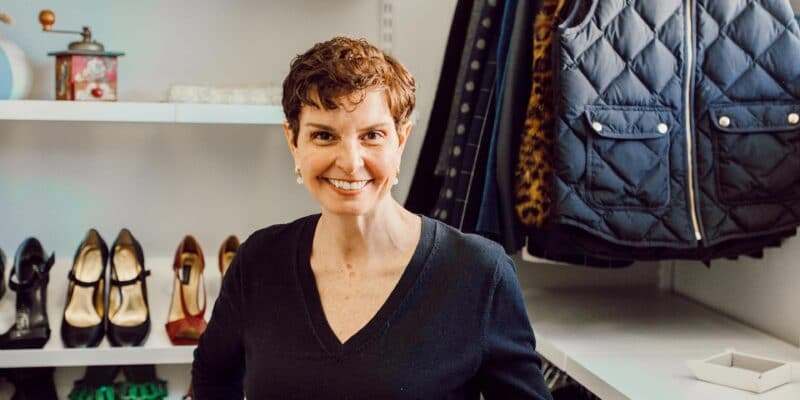 This is what you’ll find in my boys’ closet! This is where it all starts. Keep it simple, but organized! Ideal to be tucked in between or side of the washer and dryer, this mighty helper will hold all you need to get the job done. If you’re short on space or have no cabinets in your laundry areas, this is a really nice solution to create the storage you need. Start small and add as you can, by building the basic structure and adding the components of this system..
Organize as you fold! Get the laundry ready to go in this sturdy and practical cart. Keep the hangers for your laundry nearby and do it all at once. Cousin of the other cart, this again is ideal to be tucked in between or side of the washer and dryer. These little fellows will sing for you as you get your laundry to dry! Keep all your linen beautifully organized in one single closet and avoid multiple trips around the house. Take everything off the floor for immediate organizing relief! Keep this little helper in a hidden corner for when you need one step up. I use mine ALL. THE. TIME! In several colors, you can have one for each member of the family. Great to increase storage for your most used files, favorite magazines or the kids school papers you need all the time. Wonderful option to increase storage for printing paper or just your most used items! File with style! These colorful Letter-Size Interior File Folders make organizing more fun! Great to create a place for all your bills or a tockler file, you can use it hanging inside a file cabinet or over the desk. You can use to sort incoming mail or to create a mailing supplies station stocked with stamps and envelopes. Ready to go! Filled with your favorite pencils and pens, you’re set to work! Excellent to sort your incoming mail or what you have already processed and needs to be filed.